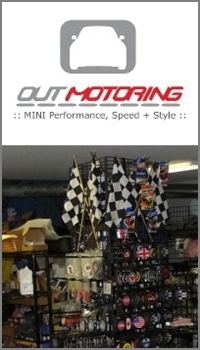 We’re back from the EIM Mini-MINI Meet at Mini Meet East Meets West! Check out our Gallery for some pictures of our time in and around Winona. The companion NAM thread at EIM Mini-MINI Meet at Mini Meet East Meets West 2009 has links in individual posts that will take you to even more online photos from this event. A special shout out to deanman for the superb planning and execution…thanks much! 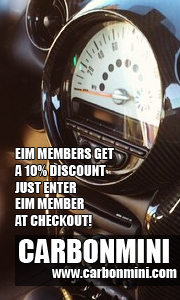 I’m the proud new parent of a Mini since June 08 and am interested in participating in this event. How do these types of events usually work? Hi Lauri! Welcome to the site. 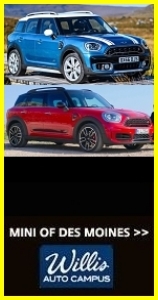 If you haven’t already you’ll want to jump on over to the North American Motoring website and checkout the Eastern Iowa Minis forum. We have a lot of information there so it should help you out with finding out more about our upcoming events! I’ve been looking at all the neat pictures posted on this site. I see a lot of familiar faces and some of them I can put a name to. But since there are so many of us and more to come how about a page that shows the MINI and their owner? What do you think? David, I’ve actually been doing a lot of thinking along these lines. At one point I was considering addition of a Frapper map on the website that would show locations of our EIM MINIs (i’ve been collecting MINI “portraits” from our events to use for this purpose). Fundamentally, we need to be very careful about using personal information (i.e., names) and then associating it with correlative data like a geographic location. We promise a level of confidentiality to everyone who supplies us with their contact data and we intend to keep that promise. Now, a Frapper map (to the town/city level) of members with a picture of their MINI and their NAM handle might be less problematic. Would that be useful to you? Yea, that sounds fine but it should have the first name as well. I’d rather call someone by their name than their NAM handle. David, we can float this with the group and see if there are any objections to first name associations (either with, or in lieu of, their NAM handle). Seems reasonable to me.